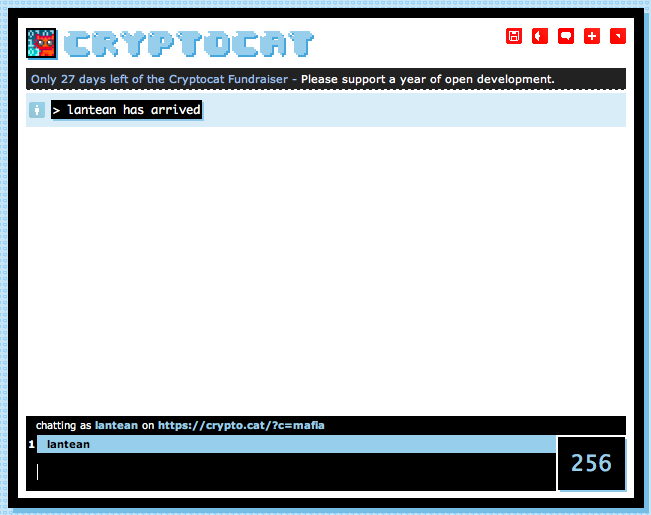 It’s a web-based, encrypted chat. Pretty amazing… there is no java applet anywhere to be seen. So… it’s kind of a disposable, encrypted chat. If you wanna… have a secure communications channel, for whatever reason, you can give it a shot.! The UI is retro… it feels like playing with the chat they’ve used in ‘The Net’ film. Check it out..